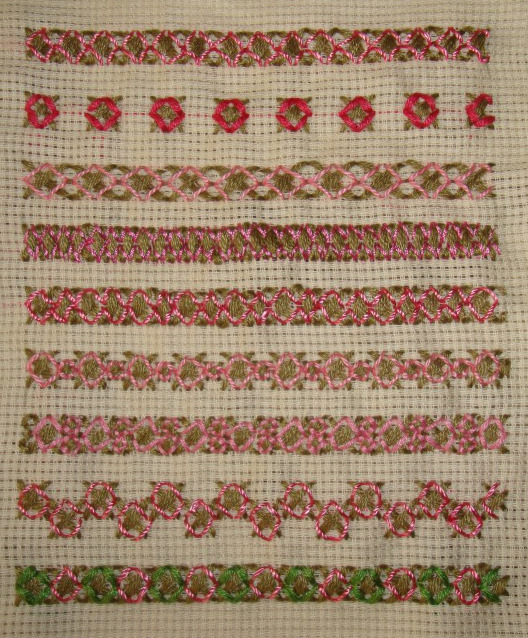 The first row is the variation of rice stitch suggested by Sharon. 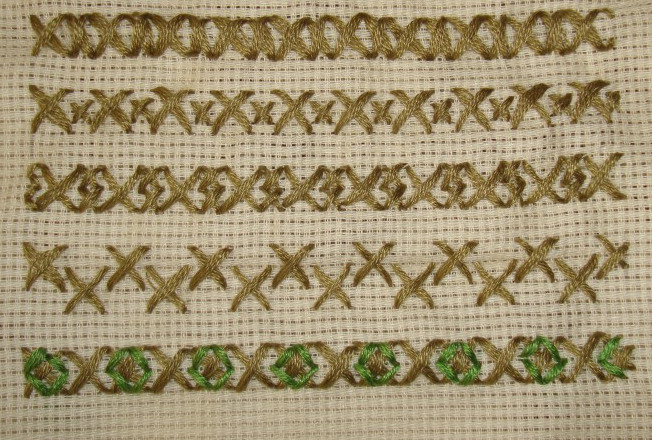 The rice stitches on two rows of crosses is the variation done by Renee on her blog. 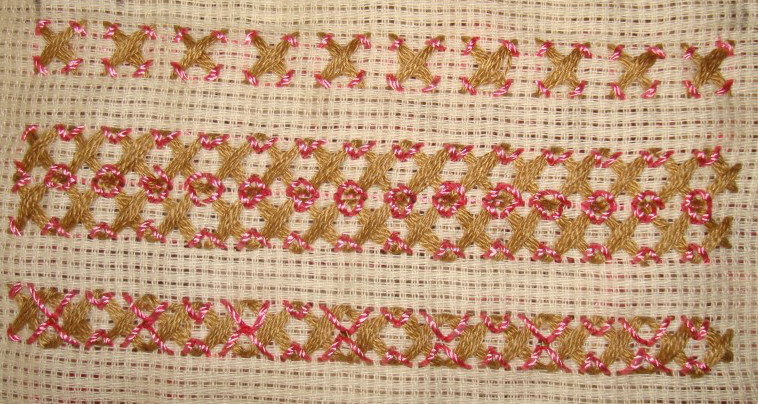 The short and long rice stitches are alternated in the third row. The first row of rice stitches are again the version suggested by Sharon. 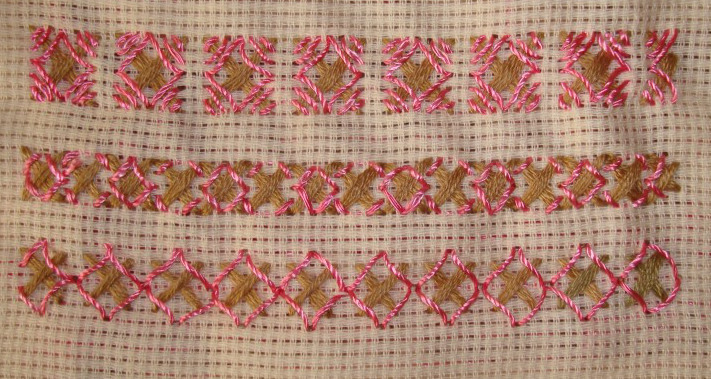 The second version of long and short rice stitches are worked in the second row. The rice stitches are extended in the last row. 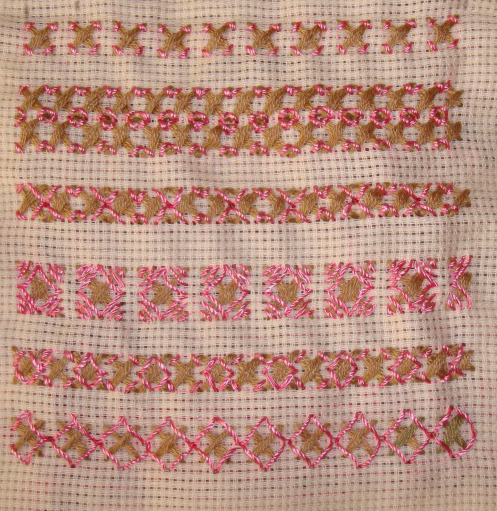 Rice stitches over, double cross stitches in metallic thread and another cross stitch variation. 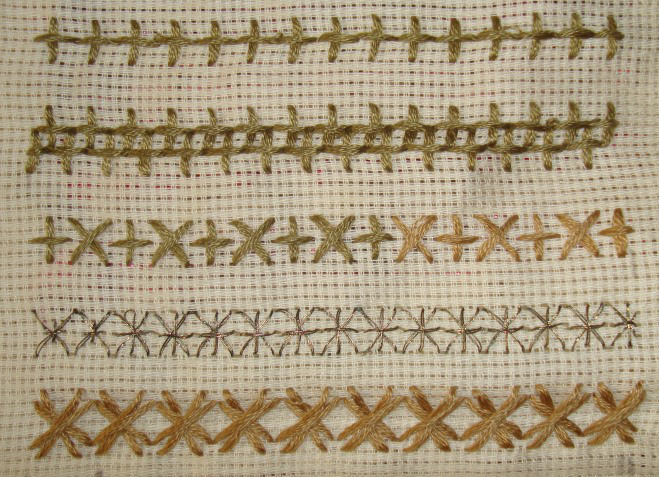 Rice stitches on cross and ablong crosses in the first row, large and small crosses in the second row, one large cross and two crosses in the third row. Crosses are worked at two levels in the first row. 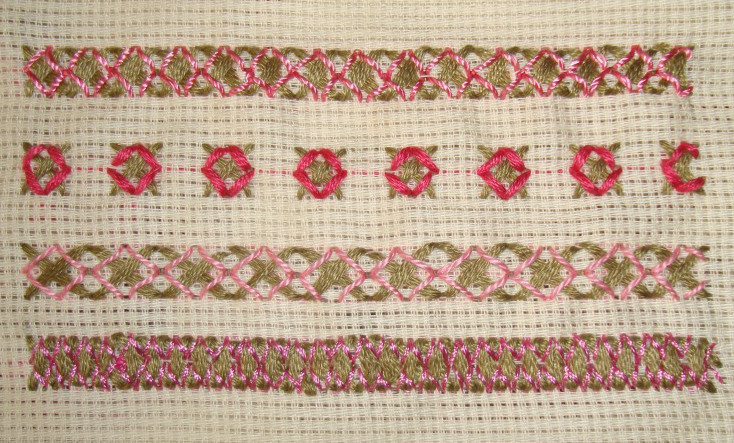 Rice stitches are alternatively worked with green [cotton skein] and pink [polyester] threads in the second row. This week’s stitch on the TAST challenge is Rice stitch. The working of this simple counted thread stitch is on SharonB’s blog. I started on my sampler today. The basic cross stitches are worked with cotton skein. The first row is the basic rice stitch worked with polyester thread, the second row is worked with cotton skein, the third row is worked with cotton perle # 8 and the last row is worked with fine silk thread.